Ok, so I did go on vacation first. But just like what happened with my son’s birthday, we went on vacation and three days later had a party. His was a big one. If you remember, I only got two hours of sleep the night before my son’s party and I wasn’t feeling up to doing that again only four months later. However, I couldn’t let my little girl NOT have a party and I may have promised her a My Little Pony one, in fact. Awhile back, my aunt and uncle offered their house for a party, especially one for one of my girls because they have two little boys. So about three weeks before the date we took them up on it and began the process of planning a fun, cheap, quick, and relatively small party. 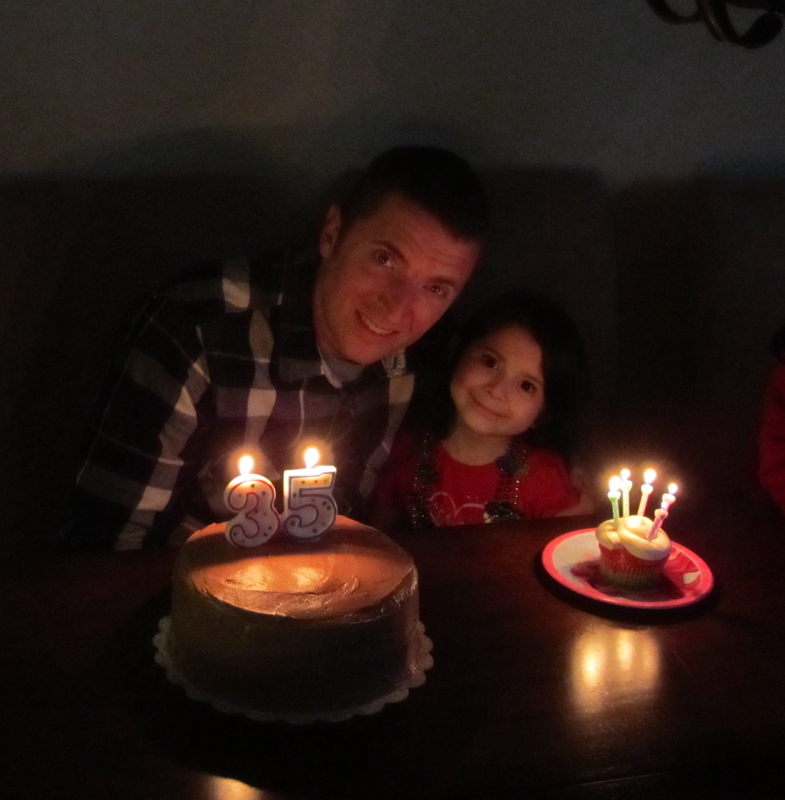 Did I also mention that my husband’s birthday was the day before my daughter’s? She was what he got for his 30th birthday. Anyway, my uncle also has a pretty spiffy man-cave with a big screen, pool table, and a kegerator so I figured this would be a good place for them both to have their party. So since I didn’t have to clean or worry about getting my house decorated or food (we were picking it up) I got to concentrate on baking some treats for them. For those not familiar with My Little Pony, there is a character named Rainbow Dash. I went with that, for me it was better than the overall pink and purple aspect of the logo and such. Although, if I had more time I might have picked one thing for a few of the characters. I mean I am sure I could have come up with something for Applejack. Maybe my Apple Fritter Cake? So first thing I saw that I wanted to do was Unicorn Poop but I was still having questions about the method. 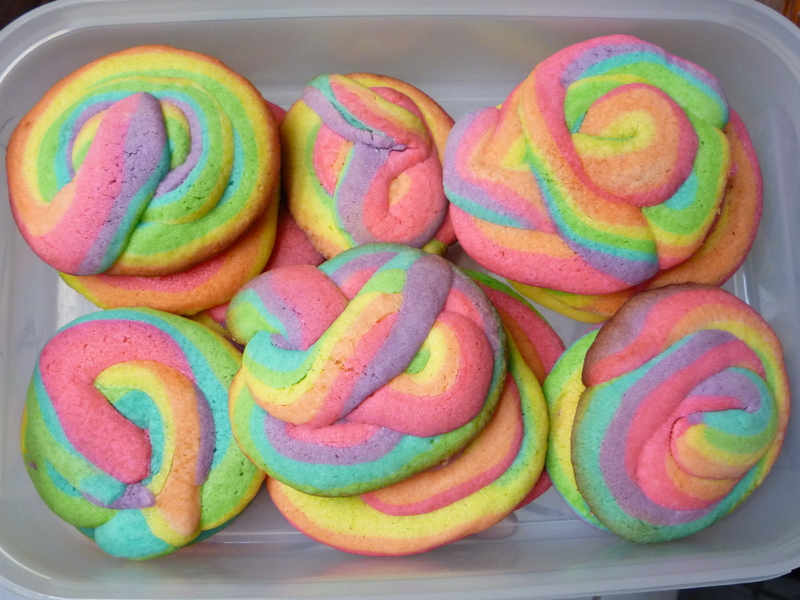 This site for Unicorn Poop Cookies helped me with the how to. I did six colors instead of five and my cookies spread out more than I would have liked and the first few I made were WAY too big but overall, everybody liked the taste of the cookie which surprised me considering all of the food coloring in it. I didn’t add any sparkles or anything because I wasn’t 100% happy with them. Besides, from the beginning Sarah was not thrilled with this idea. First off, Rainbow Dash is not a unicorn she is a pegasus and apparently, according to Sarah, she doesn’t poop. Every time I mentioned this idea she just turned up her nose but I just thought it was so funny I couldn’t resist. The first thing I actually did was make my husband’s cake. He wanted a yellow cake with chocolate frosting. That is pretty much what he always wants. I tried to make it from scratch this year but it didn’t work. I should have gone with the Moist Yellow Cake from Bakerella but I didn’t and I didn’t have the time buy the ingredients I would need to try it. So I Cake Mix Doctored it instead. It is pretty much a no brainer and tasted great. 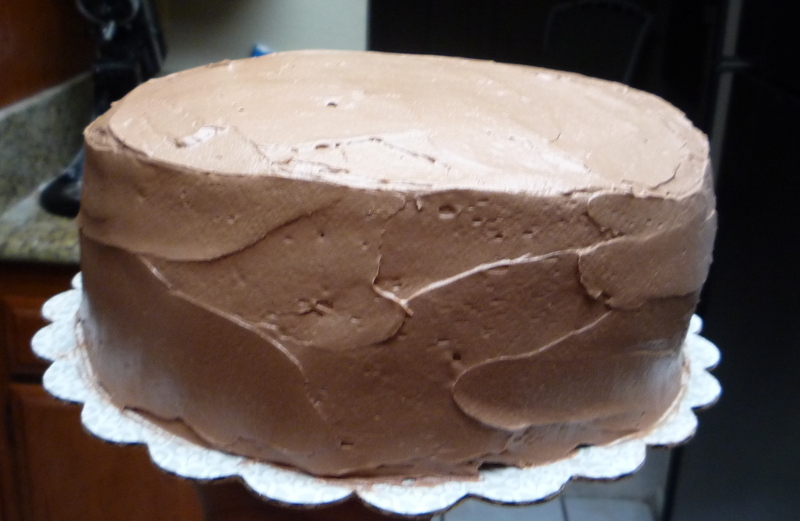 Of course I always use The Best Chocolate Buttercream Frosting by Joy the Baker. It is featured in her cookbook and it was so nice having it in front of me than trying to read it off my iPod touch. This time it came out a bit lighter but that was my fault because I opened a new can of cocoa powder and I was just being tentative because I didn’t want to spill it everywhere. Still good though. My ABSOLUTE favorite! Sarah got the absolute best birthday cake, though. Well, cupcakes. I had seen this years ago in my FamilyFun Magazine. I thought, wow that is too much work. So a few years later, I decided to give it a try. 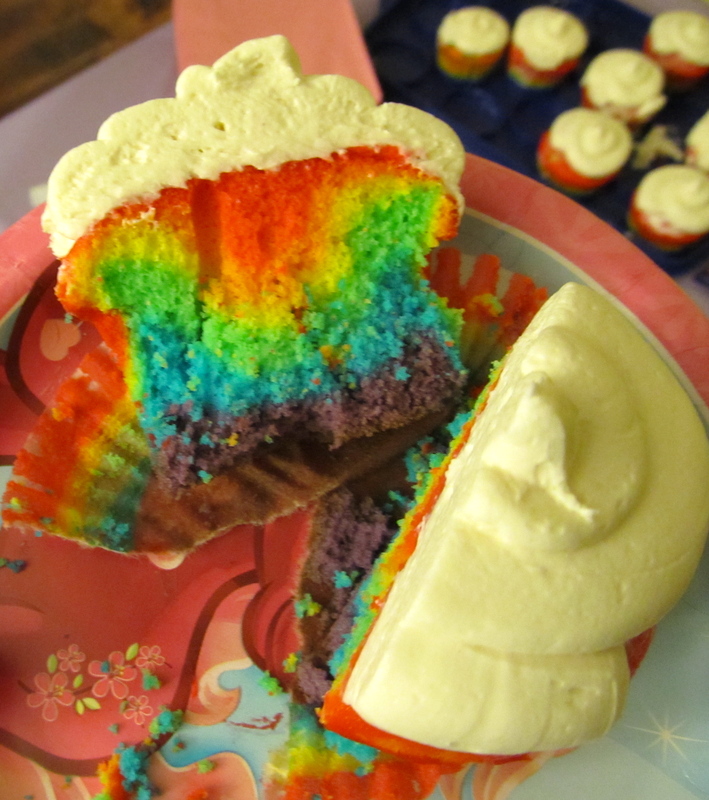 Rainbow Cupcakes, although time consuming, actually turned out to be pretty simple. 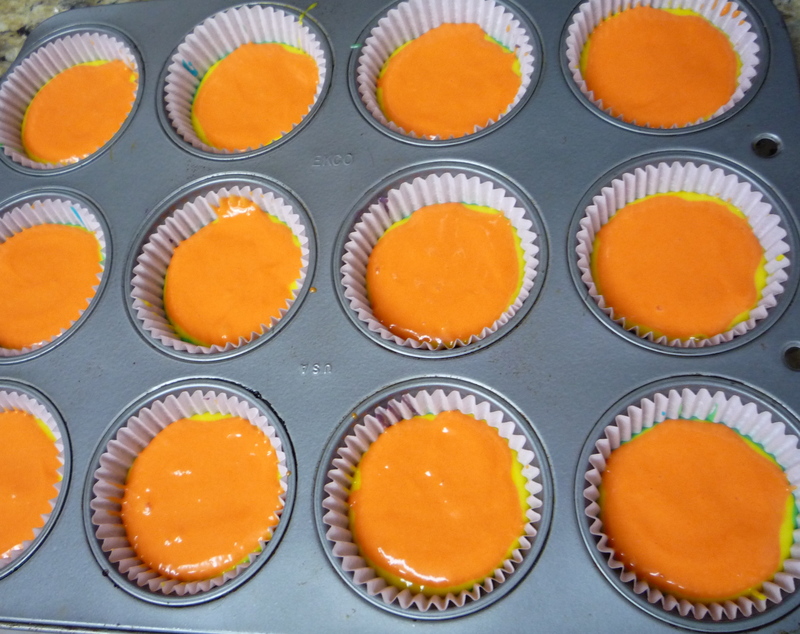 It was way easier to color the cake batter than cookie dough and it is really just a spoonful of each color spread out to the edge of each cup as best as you can. I only made 15 even though the recipe says it should make 18 and I did come up short on all of the colors for three of them. So I ended up with twelve and that was good for me because we would have my husband’s cake too. I had made a marshmallow buttercream on top and I would have posted that recipe because I totally winged it but some little boy about 10 minutes before we were supposed to leave for my uncle’s house decided to toss around my cupcake taker. O yes, while simultaneously crying, trying not to lose it on my son, and while my husband cleaned up for me, I had to whip up a basic buttercream. I had bought White Icing Color the day before and didn’t need much for the marshmallow buttercream but had to use more of it this time. I think it is kind of weird stuff, but whatever, I got cloud looking icing again! I also made some rainbow fruit kabobs that went over very well at the party. 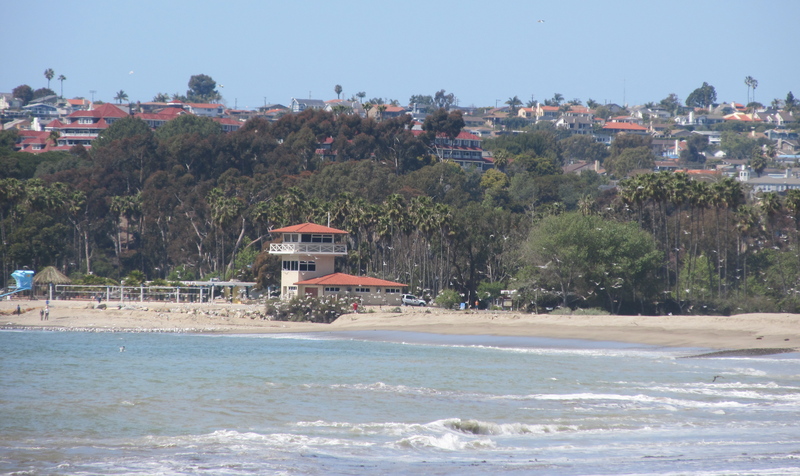 I hope to get up at least one new recipe before Easter and then everything should get back on track and I should be able to have one or two new ones a week, till at least May/early June when things get crazy for a bit again. My GeekyLink this week is this My Little Pony Doctor Whooves T-Shirt . It was brought to my attention by my niece who is a big My Little Pony fan and she knows that I am a Doctor Who fan. A nice little merging of worlds. Posted in Baking, Cake, Chocolate, Cookie, Cupcakes, Doctor Who, Food, Marriage, Parenting, Television and tagged Best Chocolate Buttercream, Cake Doctor, doctor who, Doctor Whooves, My Little Pony, Rainbow Cupcakes, Rainbow Dash Poop, Unicorn Poop, Yellow Cake. Bookmark the permalink.